Choosing what is in bloom will keep you on trend and on budget. 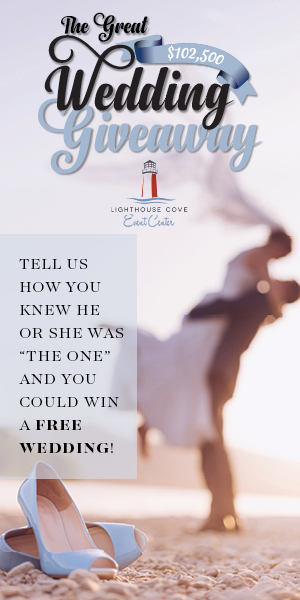 Don’t assume having your wedding during the fall and winter months means your flowers will fall flat. 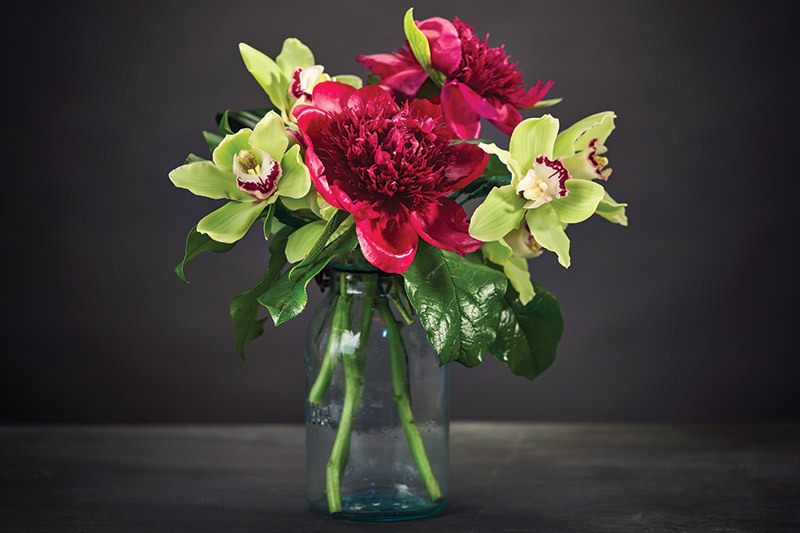 In fact, flower options for the fall and winter are real showstoppers. 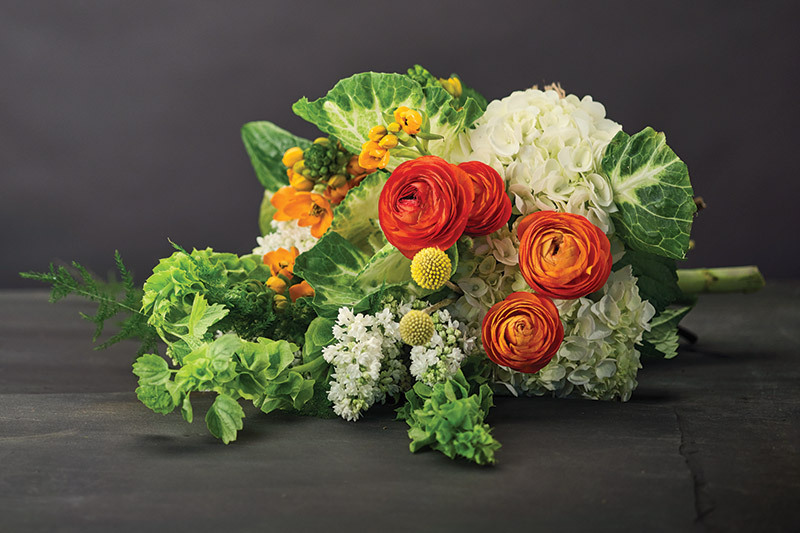 Brides are choosing to stay seasonal with their flowers and are asking their florists for locally raised flowers and untamed arrangements. Bouquets tend to be a bit more free-flowing and can even include small touches of berries, mint and rosemary. 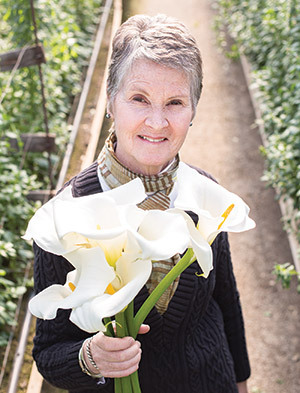 Five questions for Theresa Clower, floral designer extraordinaire. Theresa Clower is the owner and principal designer of Theresa Floral Design in Newark, a boutique event floral design company. Her organic style comes from her desire to use predominantly local sources, including local greenhouses, farms and mom-and-pop shops. Clower teaches at Longwood Gardens and is a multiple award winner at the prestigious Philadelphia Flower Show. How did you get your start in the flower industry? It happened during my studies at Longwood Gardens. I had an undergraduate degree in fine arts and an absolute addiction to the wide variety of colors, textures and forms that flowers offered me. I was working full-time in another field but knew I wanted to actually make a living working with flowers. Since that time (and hundreds and hundreds of events later) I have honed my craft by studying with many different designers. 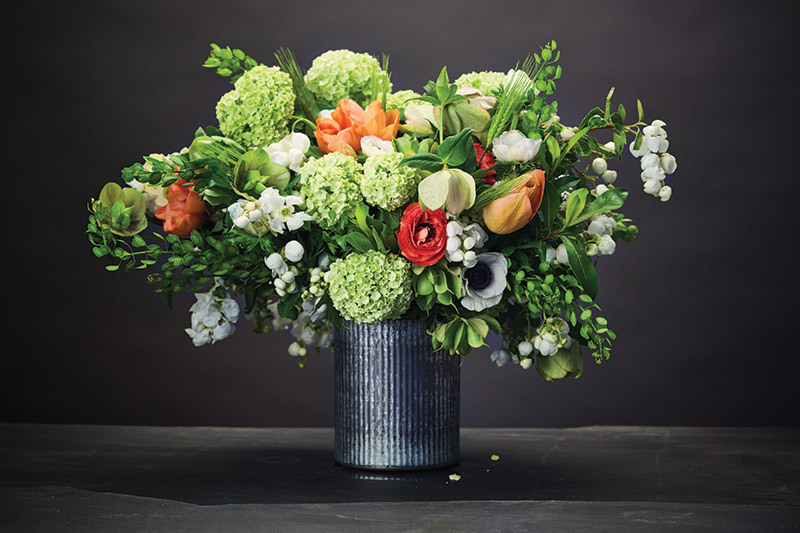 I am very proud of being a member of the American Institute of Floral Design, which is the gold standard organization for floral design throughout the world. My style is continually evolving. I have regular clients who have come to expect unusual, edgy and whimsical work from me. When it comes to weddings, my style generally takes on a garden feel with lush and textured materials. I like the flowers to breathe. With all this said, I believe it’s important to try new approaches, push past one’s comfort zone and grow! 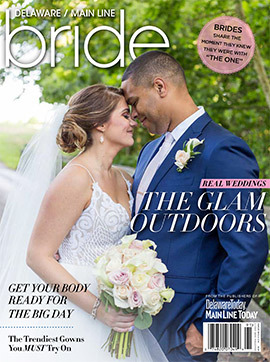 What flowers do you recommend to winter brides? There are few limitations on what types of flowers you can get at any point in the year. If you want it, chances are there is some place in the world where it is being grown. Of course, there is a hefty price tag for extravagance. Winter brides are generally attracted to beautiful shades of whites that work so well with the warmth of candlelight. I like to recommend classic white calla lilies, roses, hydrangea, ranunculus, tulips and amaryllis. Are there any hot floral trends or colors that are on your radar? For years brides have been asking for the hand-tied bouquet. I believe trends have shifted now toward the cascade design. More and more of my brides are using this beautifully long style for their personal flowers. There is definitely a trend toward more natural and organic floral design. Clients want what I call a “controlled garden” feeling. These arrangements appear as if there is little organization; they spill out of the container, they have a lovely pod here and a delicate fern there, but, in fact, they are very thought out. Containers are becoming more and more important to the design. Gone are the days of the utilitarian clear glass for weddings. Today’s brides are more inclined to use mixed and matched silver or gold compotes or some other upscale vase. The flower that sings the loudest and makes my heart skip a beat is the gloriosa lily. There are hundreds of supporting players, though.